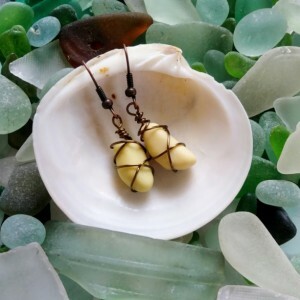 These earrings feature gorgeous, pale yellow milk glass that has been naturally tumbled smooth by the ocean. 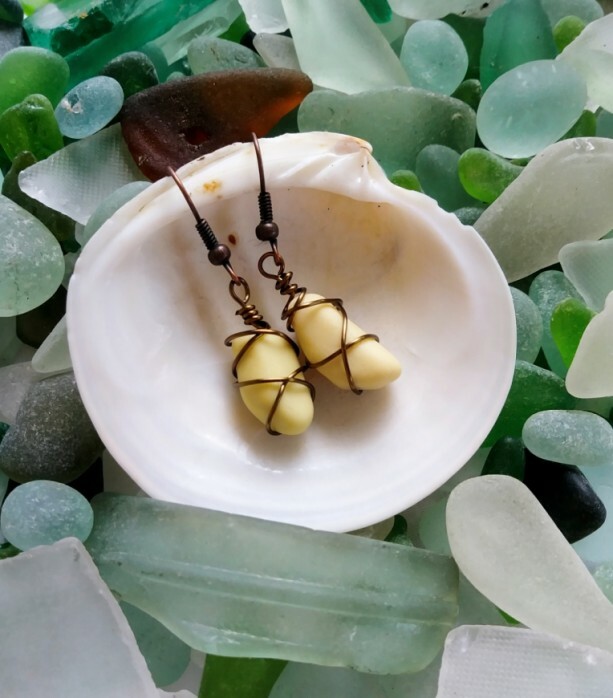 Found on the coast of England, these oval shaped pieces of milk glass have been wrapped with antique bronze artistic wire to create the perfect accessory for any beach lover. -Pale yellow milk glass from the English coast -Antique bronze artistic wire wrapping -Antique bronze ear wires -Measure approximately 1" x .5"